Have you ever found yourself with this nagging anxiety in the back of your mind? If so, you’re not alone. In fact, it’s so common, there’s a name for it. Imposter Syndrome. It’s common in many professions, but especially pervasive in creative careers where success can often come from subjective works. How does imposter syndrome manifest itself? Social anxiety. Believing you’re going to fail no matter what. Devaluing your worth. Underestimating your own expertise. And not only does it seriously affect your self-confidence, but this fear can keep you from taking the necessary risks to further your career and personal growth. Not only does imposter syndrome make it feel like you aren’t good enough for the praise you receive, but it makes you worry that it’s probably clear to the rest of the world, too—as if someone with more know-how is going to come along and strip us of the title “artist” that we’ve foolishly given to ourselves. And not just for those in creative careers—the brightest CEOs, politicians and entrepreneurs have all fallen victim to this mindset. But for creatives, the pressure can feel even worse. 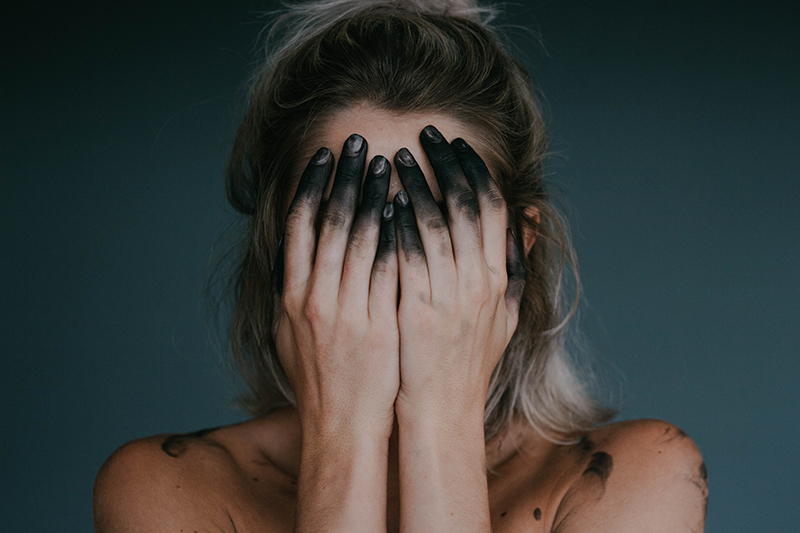 “The nature of creative work makes everyone more vulnerable to feeling inadequate and even more so if you are not classically trained,” explains author and impostor syndrome expert Dr. Valerie Young. 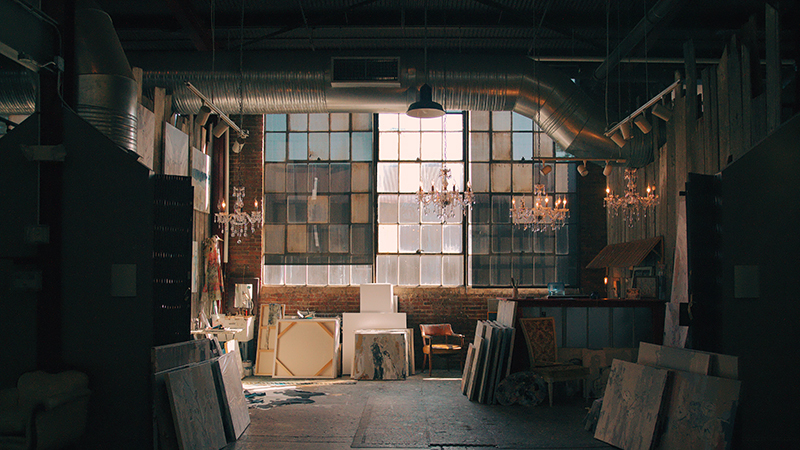 It’s a difficult spot to be in: you put your heart and soul into every piece and then have to share it with an art world that can be highly critical, using standards that are completely subjective. The irony is that the deeper you dive into your art career, the more opportunities there are for imposter syndrome to bubble up inside you. Did you sell that piece because you earned it, or did you sell it because you got lucky? Did you nail that artist grant because you had the best body of work, or did you get it because the timing worked out this time? If you let them, these doubts will corrode your self-confidence until there’s nothing left. That’s why you have to figure out a way to tackle imposter syndrome head-on, before it affects the success and future of your art practice and damages your self-confidence beyond repair. So, where do you even begin? Imposter syndrome isn’t based on reality. It’s just your mind running wild with fear, feeding off nothing but negative thoughts and self-doubt. But you know you don’t have to think this way, right? You can live in any world you choose, simply by changing your perspective. In other words, you are what you think. But did you know that there’s a way to train your brain to think more clearly? That there are actionable, concrete steps you can take to become a more positive person? Of course, it’s not going to be easy. Habits, as you likely know, can be incredibly hard to break. Especially these invisible mental habits of ours. But that makes it all the more important to try! Start small. First, work on giving up bad habits. Give up comparing yourself to others, making excuses, perfectionism, the need for praise, taking uninformed advice to heart—all the things that chip away at your self-worth and the reason you became an artist in the first place. Then, check out these eleven practical ways to become a more positive person. Fear is a natural human instinct. Fear tells you to stand back from that ledge, run from that snake, or throw out that expired milk. It’s trying to keep you safe. The problem is when fear keeps you from doing the things you really want to do. Things that would make your art business soar. In fact, safety isn’t always the best place to be! Because we’re talking about a fear of failure here, not a bear in the woods. We use this fear and doubt in our abilities as an excuse to stay in our own little, comfortable bubble, because it sure beats failing in front of everyone—which imposter syndrome promises us is inevitable. But when you really think about it, what is there to be scared of? To get past imposter syndrome, you have to become more acquainted with the idea that failure is not the end of the world. The worst that can happen is that things don’t work out this time around. You’re not going to die. You’re going to learn, and there’s nothing to be ashamed of in that. Every failure is another bullet point of experience on the resume, a tool in your artist tool belt that you can use to overcome the next obstacle. And, there will always be another opportunity. The more risks we take, and the more we practice being risk takers, the less fearful we are of failure. The only way to get ahead in life is to take risks. You really only fail if you never try. So, trust in yourself and remember these tips to become a better risk taker. So often in a society where we are expected to achieve at every turn, we rob ourselves of the joy and meaningfulness of success. We lose our “why”. As an artist and entrepreneur, you have a responsibility to acknowledge and celebrate your own successes. There’s no manager to give you a pat on the back or an “employee of the month” certificate. There are no annual reviews, promotions or raises. You’re the boss, remember? This leaves the door wide open for imposter syndrome to waltz on in! Without external feedback from others to let you know you are doing a good job and are worthy of your accomplishments, anxiety, and fear can start to make you doubt where you are in your career. So try this. Next time you make a big sale, get a stellar review, complete a commission that is well-loved, land a spot in a show, or get an award, take one minute to write it down. Write down what the accomplishment was, how it made you feel, why it was a success and maybe what lead to this success. Celebrate every time you accomplish something big or small, and then keep these reminders in a “brag box” of sorts that you can use to pump yourself back up as needed. It can be an online archive, a folder on your computer, or an actual shoebox of print-outs you keep in the studio—something within arm’s reach that reminds you what an awesome artist you are. These successes are not to be hidden or forgotten. Do you really believe that all the people who helped you get to where you are today did so because they were merely taking pity on you? That they saw absolutely no redeeming value in you or your artwork—but decided to believe in you and reward you despite their busy schedule, wealth of knowledge, and their own expertise on the line? The jurors who’ve selected you for shows. The teachers who’ve assigned you an A grade. The consultants and designers who’ve helped sell your pieces. You’re trying to tell us that they all made a mistake? The people who got you here are competent. Yes, a lot of life is luck, but that doesn’t mean in any way that we aren’t talented and deserving. You need both to succeed. And use the credibility of the people who got you here as a form of validation. Imagine this all-too-familiar conversation: A friend or family member confides in you that they are feeling down about themselves, doubting their abilities and self-worth. What do you say? You jump right in reassuring them that they are one of the kindest, smartest, most hard-working people you know—because, in your eyes, that's all true! Even if they’ve failed, you know for a fact that they’ll bounce back, and you won’t leave their side until they realize it, too. So, why is it so easy to have compassion for others, but so hard to love and believe in yourself? Reach out to your inner circle when you’re feeling unsure, the people who love you, know you, but don’t need to sugarcoat things. Hear what they have to say, and (here’s the key!) have as much faith in yourself as you do your loved ones. See yourself the way your friends and family see you. Listen to them. Believe them and use this to grow your confidence. Then start treating yourself like you would treat your best friend. A low performing post on social media. One bad critique. A show date with low attendance. These are all fuel for imposter syndrome. It’s cold, hard evidence! How could it be anything but true? Well, because it’s another trick fear is playing on you and it’s called confirmation bias. It occurs when we search for information to confirm our pre-existing ideas or beliefs (i.e. that we are imposters). And that’s not the end of the self-sabotage! Have you ever heard of the negativity bias? It means that as humans, we tend to exaggerate and remember negative critiques much more strongly than positive feedback—no matter how much positive feedback we get. “Your brain is simply built with a greater sensitivity to unpleasant news,” explains Psychology Today, and research has proven it! If you’re going to get over this syndrome as an artist, you’re going to have to tackle the social anxiety that comes with putting your heart, soul, and creativity on the line. Because there’s no way around it. What you create is highly public—it’s the only way to sell work! The key once again is to remember why you create. Ask yourself if you would make the work you make today if no one would ever see it. Would you paint or sculpt or draw that if you couldn’t show it to anyone? You’ve probably heard dating advice at some point in your life that you “have to love yourself first.” Apply that to your work, love what YOU are making, and the rest will follow. And if you still doubt yourself? 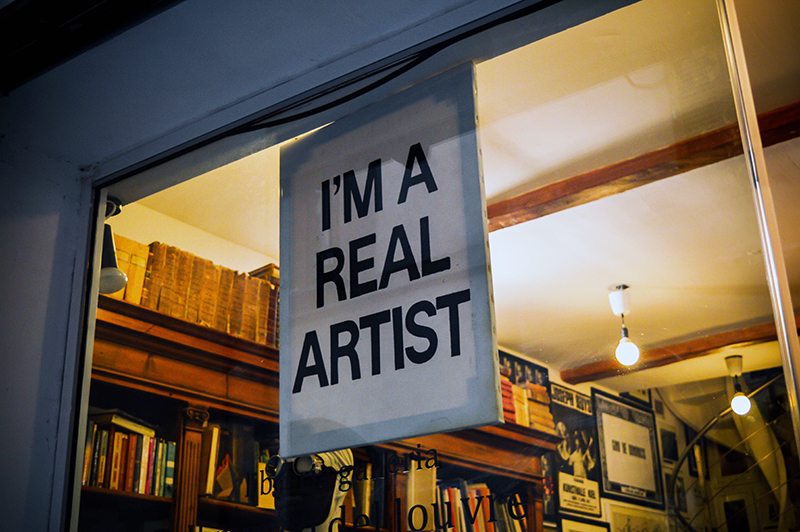 Remember that you are the expert of your art! No one knows your artwork better than you do. Give yourself permission to be the expert. Whether you teach a workshop, join a Facebook group, or grab coffee with someone just starting out, mentoring fellow creatives will help you quickly realize how much skill and expertise you have gained over the years. And while it’s a great boost of confidence, it’s also humbling to realize that nobody knows everything all the time. Not even the most successful artists alive. We all had to start somewhere and there’s always more to learn, even when it appears that our own mentors know everything. Mentoring another artist also takes some of the focus off of ourselves and lets us give back to the community. It gives us perspective and lets us share that creative spark with others. It’s also a reminder that we are all at a different point on the road in our journey, the important part is to keep walking. If you want to get past that stubborn, insecure feeling, you must grow comfortable with the idea of constant learning, shedding your ego, and letting go of perfectionism. Trust that you are exactly where you need to be in this moment, and smile knowing how far you’ve already come and the excitement that there will always be somewhere further to go. It’s easy to walk into the room and start immediately comparing yourself to all the other amazing artists. You don’t have the same artwork or experiences or successes as (fill in name of successful artist here)—but we’re here to tell you that it’s actually a wonderful thing! Unique experiences add to the conversation. Different viewpoints encourage change for the better. And that goes for whether we are talking about an art career or the artwork itself. Because everyone walks a different path, and everyone has a story to tell. There will always be someone who finds wisdom in what you have to share. And if you inspire just one other person, even if it’s just yourself, wouldn’t it all still be worth it? Don’t let imposter syndrome diminish your voice. It is a mindset, not a one-time goal! And positive mindsets have to be fed constantly. So jump on the opportunities that will build your self-confidence, give up negative self-talk, and be grateful for the people and experiences that got you to where you are today. Because we all deserve happiness and success—yes, even you! Understanding your unique voice and knowing your purpose as an artist can help you conquer impostor syndrome. 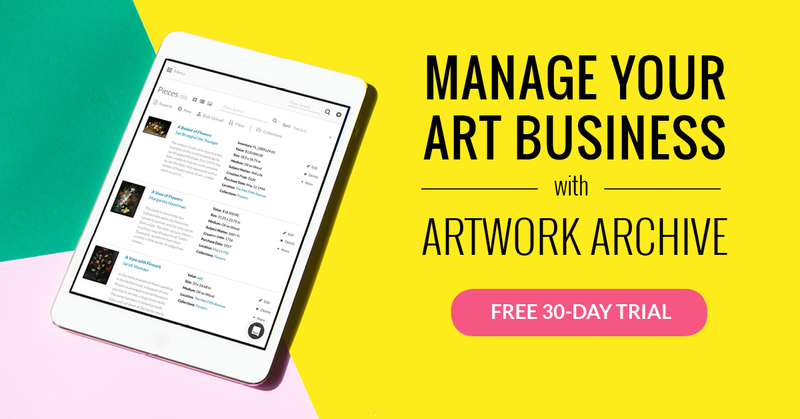 Tools like Artwork Archive help artists focus on what really matters by freeing up time spent on administrative tasks. See for yourself with the 30-day free trial. Your art portfolio may need a facelift if you are making one of these 5 common mistakes. Plus, five ways to deal with the anxiety. Gratitude shouldn't be limited to one day a year. How do we spread that mindset to other areas of our life—and even our businesses? Your relationship with money might be holding you back from making the income you deserve from your artwork.